This is true commitment & dedication to your work. 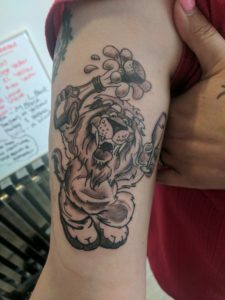 The first AJ the Lion Tattoo one of our members of staff have had done. If any one tops that we would be more than happy to give away some free tickets ?